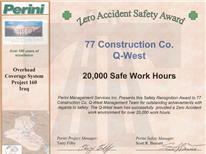 77 CONSTRUCTION CO.Q-WEST 20.000 SAFE WORK HOURS. 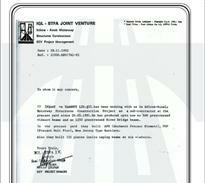 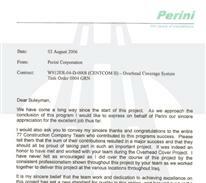 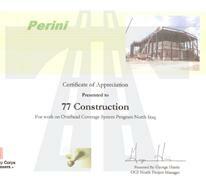 PERINI MANAGEMENT SERVICES INC.PRESENTS THIS SAFETY RECOGNITION AWARD TO 77 CONSTRUCTION CO. 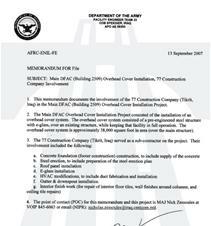 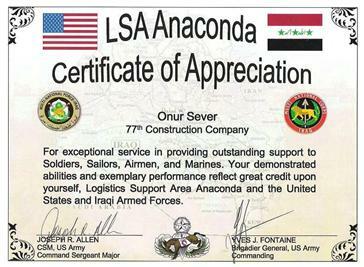 CERTIFICATE OF APPRECIATION IS AWARDED TO 77TH CONSTRUCTION COMPANY FOR YOUR HARD WORK AND DEDICATION TO THE US ARMY AND FOB Q WEST ARMY AIRFIELD. 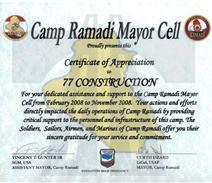 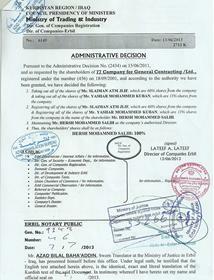 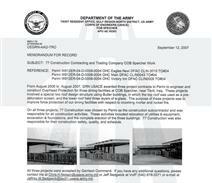 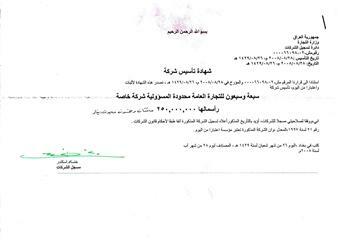 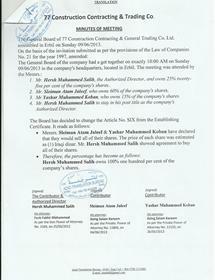 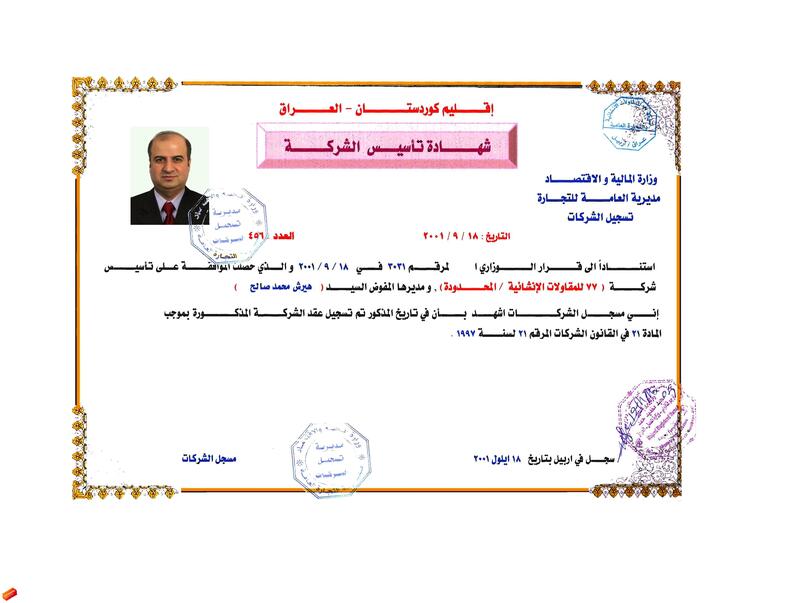 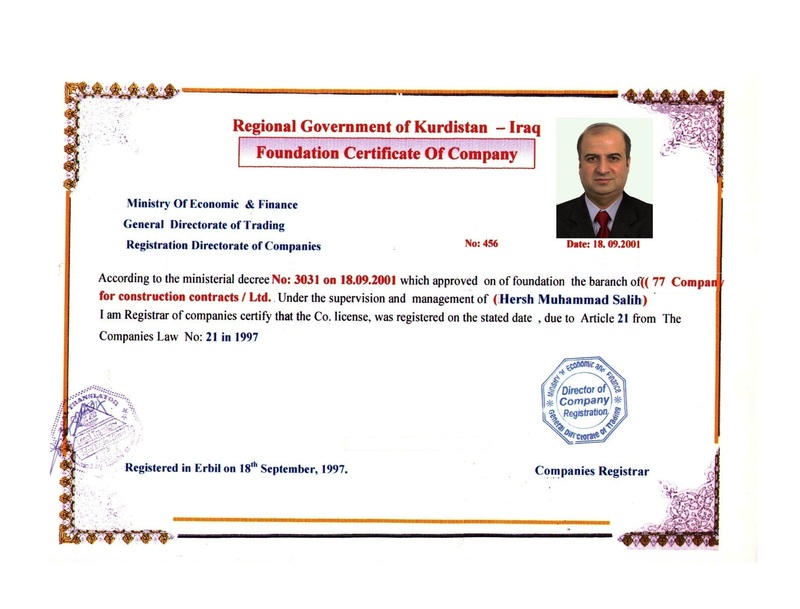 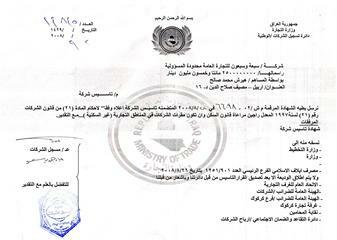 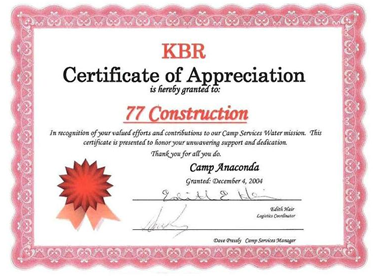 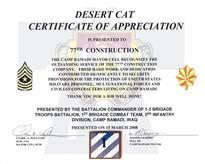 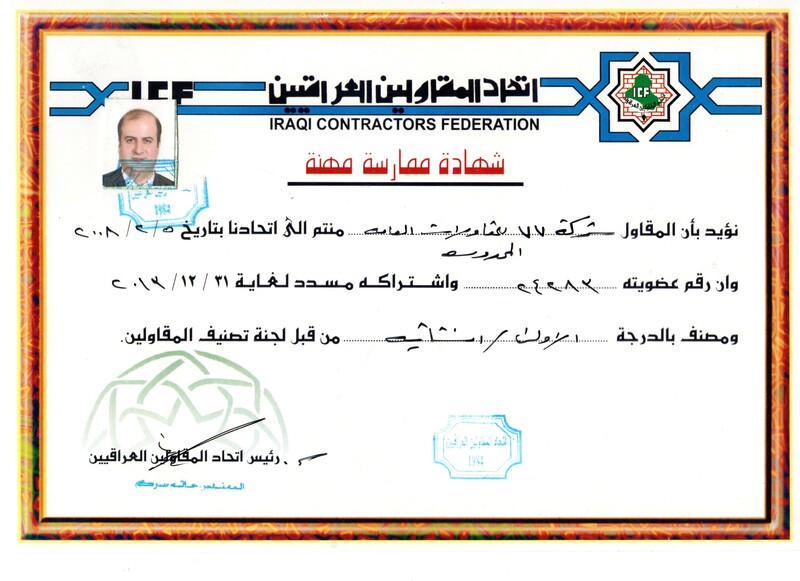 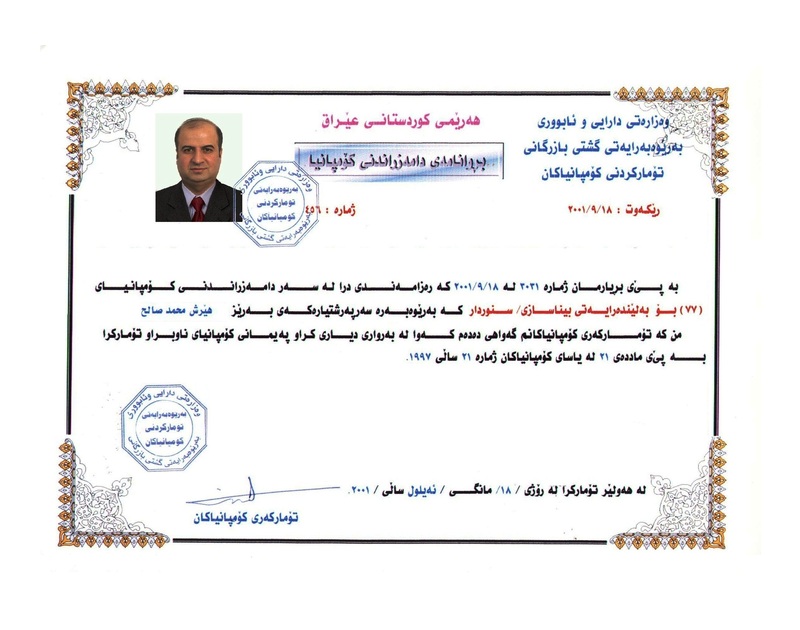 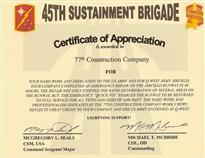 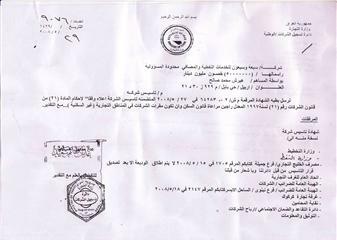 THE CAMP RAMADI MAYOR CELL RECOGNIZES THE OUTSANDING SERVICE OF THE 77TH CONSTRUCITON COMPANY. 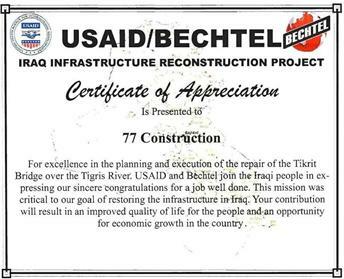 77 İNŞAAT VE TAAHHÜT LTD.ŞTİ HAS BEEN WORKING WITH AS IN EDIRNE-KINALI MOTORWAY STRUCTURES CONSTRUCTION PROJECT AS A SUB CONTRUCTOR AT THE PRECAST YARD SINCE 20.05.1991.